In 1977, the concept of “intellectual property rights” was not as ever-present as it is today. While filmmakers at that time did register their movies as copyrighted works, the widespread commercialization of characters, toys, and downstream licensing rights has become substantially more pervasive over time. While Star Wars was a hit movie, it also launched an entire segment of a toy industry. As just one of many examples, during the marketing of Star Wars: A New Hope, George Lucas and 20th Century Fox had a parallel plan to redefine merchandising sales (and licensing rights) associated with the movie. 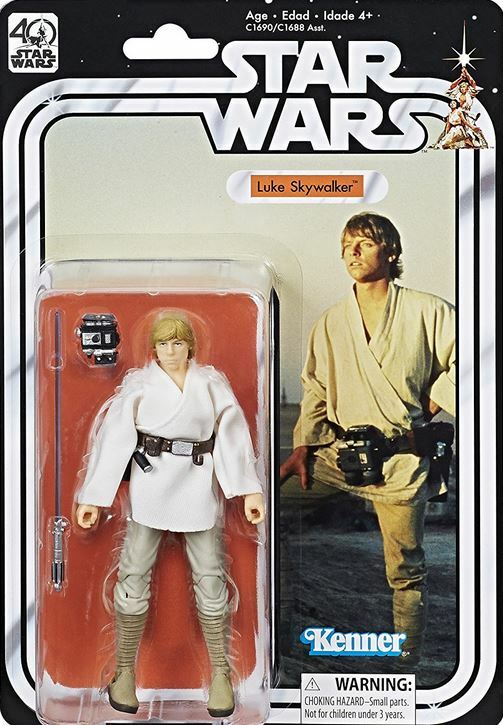 In 1976, after being rebuffed by other toy makers, Lucas cut a deal with Kenner and General Mills to manufacture and sell toys and action figures of our favorite characters. By 1978, Luke, Han Solo, Chewbacca, Darth Vader, etc. were all captured by 3.75” scaled action figures and the supply quickly sold out to the voracious appetites of the public. The demand for these toys far exceeded projections and the manufacturing capacity of Kenner. Lucasfilm emerged in the 1980s with a veritable Death Star of IP rights and market share. Only this system does not have a built-in fatal flaw. Lucasfilm has since only expanded its merchandising dominance. Fast forward 20 years from the original toy deals with Kenner. Lucasfilm cut an even bigger deal with Hasbro in 1997 for the rights to manufacture and sell toys relating to the Star Wars prequels. That deal included at least $225 million in stock value, plus royalties from the sale of toys that have far exceeded that number. It is not an understatement to say that Star Wars alone changed how movies were marketed. Toys and movie content would forever have a symbiotic relationship thereafter. Almost like midi-chlorians and the Force. Meanwhile, the toy industry is but one comparatively small aspect of how Star Wars controls industry standards and intellectual property. By now, many of us are well-versed in the basic ways in which intellectual property can be protected. There are copyrights. There are trademarks. There are patents. There is even a growing legal trend for protecting “trade secrets” indefinitely. With regard to all of these forms of intellectual property, with regard to Star Wars merchandising and marketing, there is a heavy emphasis on downstream licensing deals such as the toy manufacturing agreements we have described. That may undersell the complete scope of the overall property, however. One single toy may have a litany of IP rights attached to it. Not only is the overall Star Wars movie protected by copyright law, but every individual character is also subject to certain copyright protections. You can then factor in every costume change or look of a character over time. That becomes its own individually copyrightable feature. And we know that every copyrighted work can claim exclusive rights up to 120 years from the date of creation. A simple search of the United States Copyright Office public catalog indicates that, since 1978, Lucasfilm has registered 3,454 individual works of art. This ranges from the movie rights, to comic books, to “backstories,” to even LEGO® toys. Of course, it is worth noting that Lucasfilm has expanded beyond the Star Wars universe, but it is not like people are clamoring for toys from American Graffiti the same way they are for already-beloved Porgs. More importantly, in a galaxy far, far away, new characters are conceived all the time. The “Star Wars” trademark also carries a lot of weight. Lucasfilm has applied for over 1,000 trademarks, with nearly 500 of these still being “live” trademarks still in use today. As I have written about before, George Lucas (and now Disney) will sue you for using Star Wars trademarks without authorization or a hefty licensing agreement. In 1985, Lucas even tried to sue the United States government for using the term “Star Wars” to refer to Ronald Reagan’s proposed defense system towards the end of the Cold War. These trademark rights extend far beyond what you might naturally assume. For example, do you own an “Android” cellular phone device? Guess what – Lucasfilm actually got Verizon to pay a licensing fee for using the DROID® trademark in advertising. It is absolutely true. Who would have thought about that potential revenue stream in 1977? These are the benefits of having good intellectual property counsel on your side. Moreover, in contrast to copyright law protections, trademarks are enforceable as long as the senior user continues to use the mark in commerce. This allows for indefinite protection and a theoretically infinite lifespan for certain Lucasfilm and Disney IP rights. Which has to impress even 900 year-old Yoda. We have already addressed the scope of copyright protection for Star Wars-themed toys and merchandising. Would it surprise you to know that Lucasfilm has also registered design patents overlapping a lot of these products? Of course not. Lucasfilm has acquired design patents for numerous characters in the galaxy, even for Greedo (who absolutely did not shoot first). For design patents issued before May 13, 2015, these have a term of fifteen years from the day the patent was granted. For those filed after May 13, 2015, design patents last for fourteen years from the day it is granted. Fortunately, this is not as broad of a lifespan as copyrights or trademarks, but still an extra buffer of protection for new characters in the current movie trilogy. Lucasfilm loves its Star Wars characters so much it has literally patented them. The underlying beauty of all things “Star Wars” is that it is a never-ending source of intellectual property. It is the closest thing to a money tree you will likely ever see. While the Skywalker saga is set to close after Episode IX in late 2019, Disney has already commissioned Episode VIII director Rian Johnson to create an entirely new trilogy to expand the Star Wars universe. With each new trilogy comes a host of new characters, stories, movies, and expanded universe books and comics. And each of these having their own force-field of IP rights. Even the objectively bad Star Wars movies and Christmas specials generate absurd amounts of cash along with revisionist think-pieces about their quality. It is for these reasons that I posit that Star Wars is the most valuable IP asset ever created. Compare Star Wars with other traditional IP-generating industries. The pharmaceutical industry? While Viagra® may be a billion-dollar business unto itself (for the benefit of Pfizer), the underlying patents expire in 2017. Even if Pfizer is able to acquire new patents on variations or improvements of Viagra-type products, it is a fundamentally decreasing market once the generic products begin to compete. Diminishing returns are practically built into the business model for pharmaceutical patents. Lucasfilm is not worried about generic Star Wars knockoff concepts. What about other multimedia IP bundles? Disney now owns Star Wars, but it has also owned “Mickey Mouse” for nearly a century. Mickey Mouse is so popular that literal theme parks have been built around him. Disney’s natural desire to maintain copyright protections over Mickey Mouse and his friends also was the impetus for legislation that extended the duration of copyrights for an extra 20 years. At some point, however, Mickey Mouse will go into the public domain and he’s taking his friends with him. Meanwhile, Disney has failed to create sufficiently popular new Mickey-related characters and storylines. While Lucasfilm continues to churn out new Star Wars stories and characters. The public demand for new Star Wars far exceeds interest in any new friends of Mickey and Minnie. 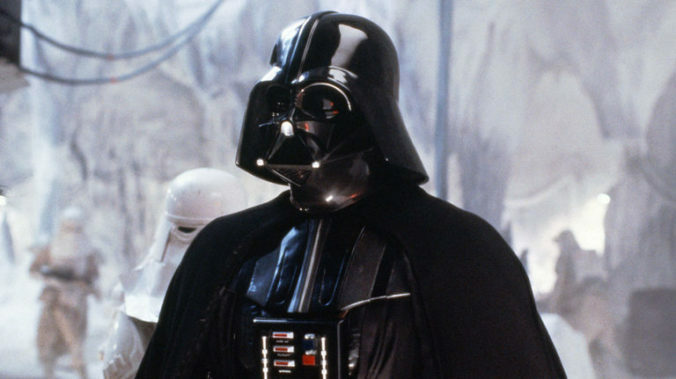 There are other movie franchises that have tried to follow the Star Wars blueprint. The Harry Potter domain was at one time considered more valuable than Star Wars, but that was fleeting. The diminished returns of 2016’s Fantastic Beasts compared to the original Harry Potter books and movie adaptations is a data point in favor of the Star Wars universe. In comparison, The Last Jedi is predicted to clear over $200 million domestically this weekend. Similarly, the Marvel comic book IP such as The Avengers has become its own wing of the movie industry. Not even Captain America can compete with Darth Vader. The IP Force remains strong with Lucasfilm. The less said about the prequels the better. Ugh, seriously, the less said about the prequels the better. I am so sorry. Midi-chlorians are terrible. Most notably with the Indiana Jones franchise. I searched for “lucasfilm” as the owner name at http://tmsearch.uspto.gov. Whether this would be considered a use of the Dark Side of the Force is debatable, of course. The prequels were terrible. I will not accept alternative facts on this issue. This law is derisively known as the Mickey Mouse Protection Act. Really.